Luck is described by definition as “the things that happen to a person because of chance; the accidental way things happen without being planned.” So speaking in the strictest technical terms, there’s really nothing you can do to change your luck. But that doesn’t stop most of us from trying! 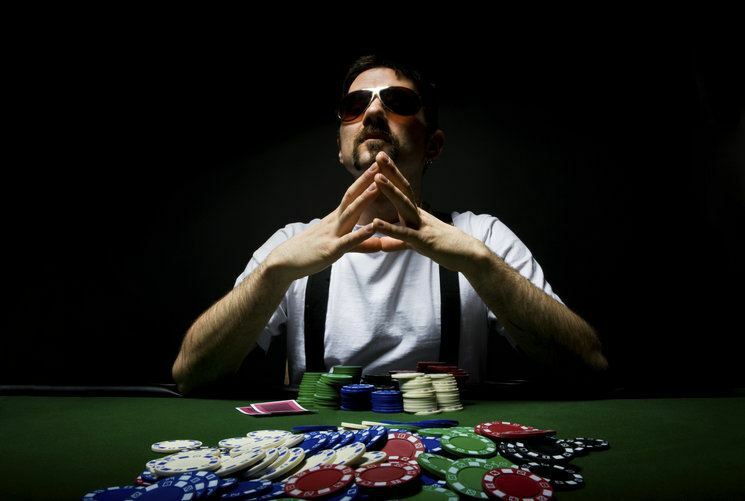 Whether you believe in the power of changing your own fortune, you’re superstitious, or you simply take a different view on what exactly constitutes luck, odds are you’ve tried at one point or another to influence what happens to you seemingly by chance. Ultimately, arguing whether or not it can truly be done won’t get anyone anywhere. Here are some simple tips for successfully increasing your luck in life. One of the simplest keys to facilitating good luck is not to succumb to discouragement due to bad luck. Wealthy Gorilla is a wonderful place to look for people who like to find inspiration and new perspectives from famous figures. And here, we have a list of positive thinking quotes, which has a few different selections that speak to this idea of avoiding discouragement. In other words, if you strive to make the most of a situation, even if it’s not an ideal one, you tend to increase the odds of things working out well in the long run. This is certainly one way to look at luck. Not all luck has to do with other people, but a great deal of what we’d call good fortune in life really comes down to good favors from good friends. This is not to say that you should look to network your whole life simply to build up group of acquaintances who might one day facilitate “luck” when you need it most. But by making and maintaining friendships, being kind to family members, neighbors and colleagues, etc., you can certainly put yourself in a better position to receive help if and when you need it one day. Whether or not you call it luck is up to you, but the fact remains that receiving assistance from a friend in a time of need is better than the alternative! The idea here is that if you don’t at least give yourself the opportunity to get lucky, you definitely won’t get lucky. This is arguably the most significant thing to keep in mind in attempting to improve your fortunes—so much so that it’s even mentioned with regard to activities with notoriously long odds for luck. The idea there is that by aiming for a jackpot (the moon) you can sometimes also put yourself in the running for smaller prizes (the stars). The same principle holds up pretty consistently as a metaphor for everyday life. This one is straightforward: a lot of people with optimistic outlooks and “lucky” histories will tell you that one of the keys to good fortune is seizing good luck when it’s available. Sometimes a lucky turn is right in front of us, and we’re either unable or unwilling to see it. “Fortune favors the bold” is a common saying, and some may view it as a relatively hollow one. Yet when you think about it as a psychological perspective rather than a recipe for good fortune, it begins to make a lot more sense. Inc. took on this topic in a piece on different ways to actually increase your luck, and clarified that the idea of fortune favoring the bold largely comes down to the idea of facing our fears. When you take on a task that scares you or makes you apprehensive, you may not be any likelier to fully succeed. But because you were apprehensive to begin with, you’re more likely to view any degree of success as a lucky outcome. Many would argue that the foundation of good luck is an optimistic outlook. In other words, people who are inclined to be optimistic are simply more likely to view a given event or outcome as a bit of good fortune, rather than something neutral. So it’s possible that the best way to position yourself for good luck is to practice optimism. This could mean anything from getting more sleep and focusing on personal well-being, to trying to be kinder and more enthusiastic. Superstition is closely related to the belief in luck, but it usually just comes down to routine. To get an idea of just how important this is to some very successful people, just take a look through this list of superstitious athletes including Michael Jordan, Wade Boggs, and Serena Williams. Williams in particular goes about her business on the tennis court according to an extremely strict routine of little things, such as how many times to bounce a ball before a serve. She’s mentioned slipping up on this routine as a reason for some of her losses over the years, and whether or not that’s the case it’s easy to see the psychology of it. When you believe in routine to this extent, sticking to it can make you feel lined up for luck. A lot of discussions about luck ultimately come down to the idea of trusting your gut. To some extent, this lines up with the idea of facing fears and being bold; often it’s the gut instinct that wants to be bold, and the reasonable mind that prevails and encourages more conservative action. Aside from the idea of just being bold, the idea here is to trust your gut, or listen to the little voice inside your head that tells you, before you even have a chance to think about it, what the right decision is. Instinct is a valuable ally, and one that can often lead you down a path of good fortune. There are still no guarantees for luck in life. If there were, we wouldn’t call it luck! But by paying attention to these tips and enacting the suggestions in your day-to-day life, you may find that you stumble across a little bit more luck in the future. Have anything to add to this article? Leave a comment below.